One of my favorite winter meals- during the two to three weeks we actually have winter weather here in Austin 😉 is something, almost anything, cooked up in one of my beloved Dutch ovens. For this week’s show, I decided on a hearty, rich and heartwarming Chicken and Dumplings Stew made with fresh herbs from our kitchen garden. I also shared another one of my favorite winter stew recipes- a SW Pork and Squash Stew- for good measure- since I know so much of the country is wrapped up in a blanket of cold weather, if not actual snow. 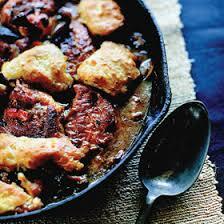 So enjoy one of these delicious heart and belly-warming meals! 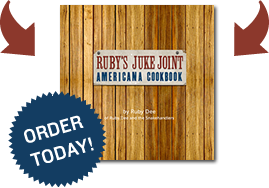 And we’ll see you next time on Ruby’s Kitchen Radio Show- keep it tasty!